Vengeance is coming to ABC's 'Agents of S.H.I.E.L.D.' when the newest iteration of Ghost Rider joins them next season. 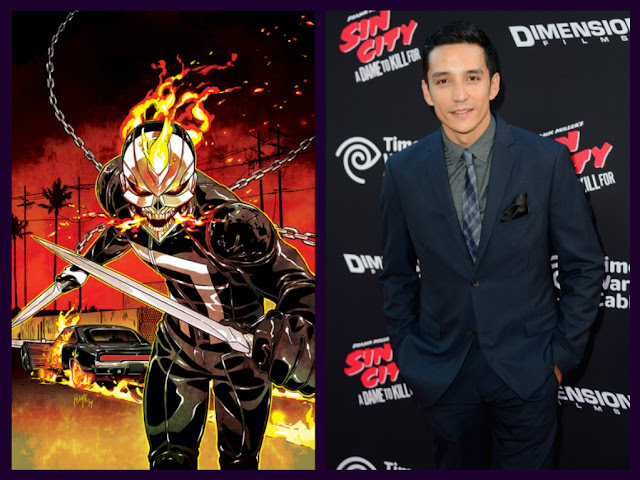 Gabriel Luna (True Detective, Matador) will play Robbie Reyes, the street racer-turned-spirit of vengeance, as it was revealed Friday at Comic-Con International in San Diego. 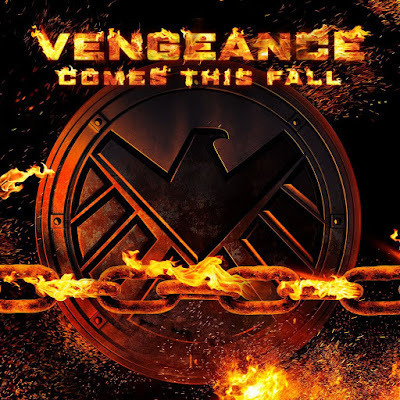 "Season 4 will unquestionably be the series’ biggest, most ambitious story yet, and it all begins with the introduction of one of our greatest legacy characters in Ghost Rider," said Executive Producer/Head of Marvel Television, Jeph Loeb. "When the Spirit of Vengeance rides into S.H.I.E.L.D., it’ll change everything." In the comics, as part of the Marvel NOW line of books, Reyes was a teen living in East L.A. working as a mechanic and street racing to get extra cash to help raise his younger disabled brother, Gabe (no casting announced yet). Until one fateful evening he's mysteriously gunned down and possessed by his estranged Satanic serial killer uncle. Fused with the Spirit of Vengeance, a thirst for murder, and an enchanted hellfire chain, this Ghost Rider rides a classic souped-up Dodge Charger looking for evil souls. The classic Ghost Rider, Johnny Blaze, the one who rides a motorcycle still exists in the Marvel universe. Both versions share time and space and of course their heads transform into fiery skulls when in Ghost Rider mode. You may or may not remember two awful live-action Ghost Rider movies made by Sony starring Nicolas Cage before Marvel Studios regained the rights. Luna is not a teenager so the writers will have to tweak his story. How he fits in the show of a super secret, semi-Inhuman, spy group is unclear but it'll be interesting to see how and if it'll be possible to do the character justice with a limited special FX budget. "Marvel's Agents of S.H.I.E.L.D." returns Tuesday, September 20 in its new timeslot, 10:00 PM ET on ABC.